Wrinkles form as the skin ages and its underlying structure begins to break down. Environmental factors such as sun exposure, and smoking hasten the signs of aging. Repetitive facial expressions causes wrinkles and fine lines as well. As we age, the skin loses its elasticity and causes wrinkles. Ultraviolet rays from the sun accelerate this process. While sunscreen and moisturizer can protect the skin and slow down the aging process, many products are available to reverse the signs of aging. Moisturizers, serums and skin care products can reduce fine lines and wrinkles over time and be used as maintenance to prolong the effects of stronger, more effective treatments such as chemical peels, neurotoxins, fillers and lasers. Many products are available to slow down the signs of aging and reduce, minimizes fines lines and wrinkles. The most important steps to protect your skin are to use a sunscreen and a moisturizer every day. These are the two most effective anti-aging products you can buy that will make the most difference. For fine lines and wrinkles around themouth, between your eyebrows (Glabella area), on your forehead, or by your eyes (crows’ feet) a simple and non-surgical procedure of injecting Onabotulinum toxin A is recommended. This is a common procedure that will help smooth and reduce the deep, persistent lines that have developed over time. In other words, these are used to relax the area of injection, preventing movement and wrinkles. The brand names are known as BOTOX® cosmetic or XEOMIN® injections. Injectable wrinkle fillers fill lines or creases with one of several different substances. As a result, lines or creases seems to have nearly disappeared. Hyaluronic Acid Wrinkle Fillers are the most popular category of wrinkle fillers. Each type works in a slightly different way with varying results. Although side effects are rare, they can include redness, swelling, and bruising at the injection site. The results last from several months to over a year. We recommend to perform yearly maintenance to help stimulate the body’s own natural production of collagen and reduce the amount of filler needed over time. Hyaluronic acid wrinkle filler include JUVEDERM , BELOTERO® and RESTYLANE® can be combined with other fillers / volumizers. The Jessner Peel is designed to remove superficial layers of skin, dry out active acne, dislodge blackheads, reduce shallow wrinkling and scarring, help lighten hyper pigmentation and improve the overall appearance and health of sun-damaged, acne prone, aging skin. During the next few days the skin will appear red and progressively deepen to a tan/ brown color. Skin conditions during the peeling process may range from mild stinging, mild swelling and redness, mild crusting and finally peeling. The VI Peel contains a synergistic blend of powerful ingredients suitable for all skin types. This peel provides dramatic results with virtually no pain, no skin preparation and little downtime. Why wait weeks or months for results? 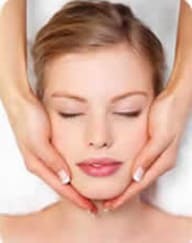 The VI Peel will improve the tone, texture and clarity of the skin; reduce or eliminate age spots, freckles, and hyper-pigmentation, including melasma; soften lines and wrinkles; clear acne skin conditions; reduce or eliminate acne scars; and stimulate the production of collagen, for firmer, more youthful skin. Vi Peel also works well in conjunction with lasers, injectables and post procedure.